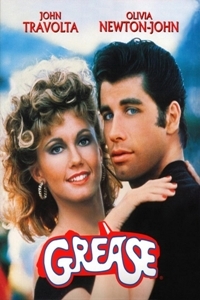 Synopsis: Grease (1978 – Rated PG-13) stars John Travolta as greaser Danny who falls in love with good girl Sandy (Olivia Newton-John) over the summer. When they discover they are going to the same high school, Danny has to play it cool with his bad-boy T-bird gang while Sandy has to try to fit in. With Travolta on fire after Saturday Night Fever in 1977, Grease became the highest-grossing film of 1978 and the highest grossing musical ever. Stockard Channing also does a star turn as Pink Lady Rizzo. You’ll want to get dressed up for this movie, and brush up on the lyrics to Beauty School Dropout, Sandy, and Summer Nights. Grease plays Tuesday, April 16 at 7 PM.